In this brand new 335-page report you will receive 131 tables and 68 figures– all unavailable elsewhere. 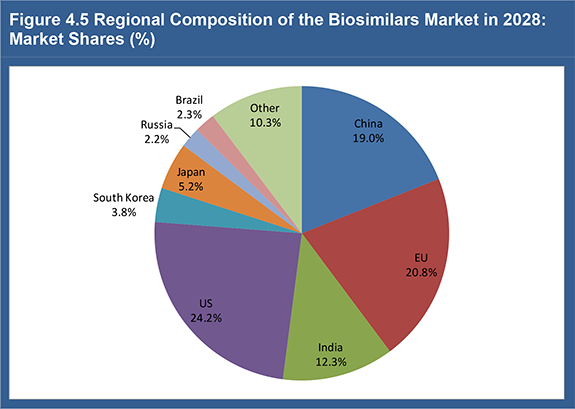 • Our study provides a SWOT analysis of the biosimilars and follow-on biologics market. Visiongain’s study is intended for anyone requiring commercial analyses for the biosimilars and follow-on biologics market. You find data, trends and predictions. 4.3 How will the Regional Composition of the Global Market Change from 2016-2028? 8.8.3.1 Wockhardt and Biocon - Given up on their Desire to Target the US and Europe?